In 2016, the Mets had high hopes to have another great run and make it into the playoffs as well as World Series as vindication for the season prior. Of course, the Mets made it to the World Series in 2015 where they had a great second half run that season, however that’s when they lost to the Kansas City Royals. 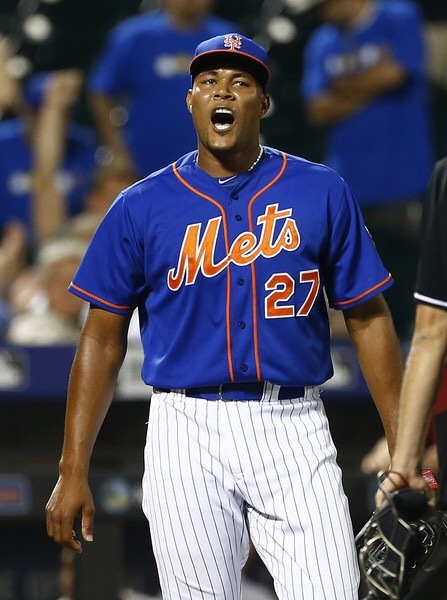 Even though a lot Mets fans do seem to have issues with Familia, in my opinion, he’s an elite reliever and I believe he’ll strengthen the bullpen this upcoming season and he’ll be a great mentor for Edwin Diaz to have around in a new place in New York. However, I digress. In 2016, Familia set a franchise record for Saves in a single season when he recorded his 44th save of the year. He picked up his 44th save against the Marlins in a 5-2 victory. He also set the record for most saves from a Dominican Republic native by passing both Jose Valverde (2011) and Francisco Cordero (2004), both had 49 saves. Familia had this to say “I just want to thank God for giving me the ability and having me healthy these couple years… Then I want to say thank you to everybody in this room — my teammates, my coaches. That’s it. I’m so happy right now.